The weather is warmer, the evenings are temperate and since summer is here, it’s Rosé season. The season also lends itself to the harvest of perfect products. 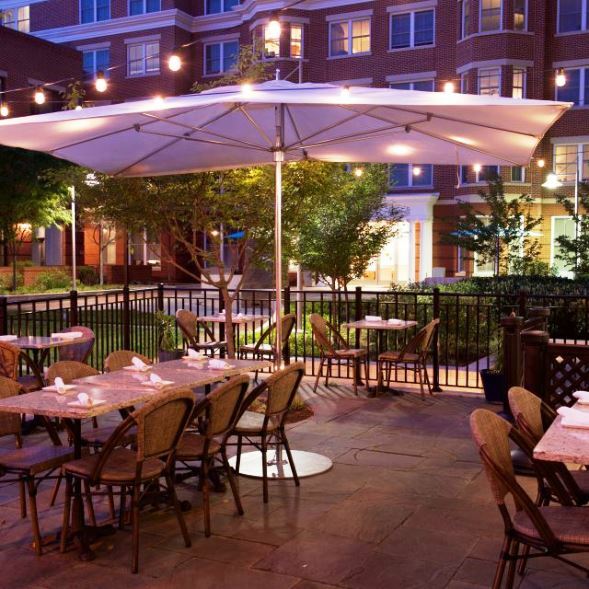 At Bastille, located at 606 N. Fayette Street in Old Town Alexandria, chef/owners Christophe and Michelle Poteaux combine all of these elements in a 5-course $79 prix fixe meal served under the stars on the restaurant’s patio on Wednesday, June 21st beginning at 6:30 pm. The menu begins with an Amuse Bouche of Chesapeake crab served with Cremant de Limoux, Cuvee Emotion, Maison Antech 2014 (Chardonnay/Chenin Blanc/Mauzac/Pinot Noir); followed by Gazpacho de Fraises—a savory strawberry gazpacho, paired with Sud Absolu Rose, Domaine La Ligiere, Beaumes de Venise 2016 (90% Carignan, 10% Muscat Petit Grains); Plancha de Poulpe--charred octopus, fennel, tomato, arugula, tarragon and preserved lemons with Que j’aime ta couleur, Domaine Ancely Rose, Minervois, 2015 (100% Cinsault); Saucisses grilles--Cumin infused eggplant puree, grilled summer squash, carrots and cipoline with La Dignerette, Serre des Vignes Rose, 2016 (60% Grenach, 35% Syrah, 5% Carignan); and for dessert, tomates sautées--tomatoes, black pepper, fresh ricotta, crispy basil with Les Pampres, Mas Laval Rose, Pays de l’Herault 2016 (50% Vermentino, 50% Syrah). 606 N. Fayette Street in Alexandria.